Silicone wristbands are one of the most popular and stylish promotional accessories worn worldwide. Both inexpensive and completely custom, these wristbands are the ideal solution for fundraising events or to bring awareness to special causes. Choose from five customization options including Debossed, Embossed, Color-fill Debossed, Silkscreen Embossed and Silkscreen. Breast Cancer and Drug Free Awareness stock designs are available for quick and easy ordering. Keyless Security offers a Mechanical Combination Lock that provides solutions to managers' lock headaches—low price, no batteries to replace, no keys to manage, simple manager override, humidity/dust resistance, a five-year warranty—and users that can easily set their own codes and pick their lockers. 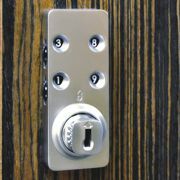 The only mechanical lock that lets the manager find a forgotten code from the face, it can keep the original user code intact if the wrong locker is accidentally opened. Customer list includes 24-Hour Fitness, Life Time Fitness and Equinox. Solidly affixing structures to asphalt has always been a problem. As a result, Asphalt Anchors Group has extended its line of anchors and accessories to fulfill increasing demand. To install, a hole is drilled and filled with EPX2 grout. Next the anchor is inserted into the hole. After a setting time of about 15 minutes, the structure may be bolted permanently. BoltHold™ Anchors permit the removal of structures or equipment mounted on them and are flush to the ground, posing no threats to pedestrians. 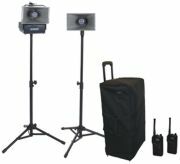 AmpliVox Sound Systems' Radio Hailer communication system is a powerful, cost-effective emergency sound system. The Radio Hailer is a vital tool for first and post response teams, especially in emergencies that demand quick, clear communication from emergency personnel to operation leaders, team members and civilians, as well as communicating within large outdoor areas such as campgrounds, parks or school campuses. The Radio Hailer supports all types of disaster recovery efforts, whether the emergency results from fire, earthquake, tornado or hazmat incidents. An industry leader in custom ticket design and event ticket printing for more than 115 years, Weldon, Williams & Lick Inc. offers a complete array of stock and custom tickets, parking permits, roll tickets, credentials, passes, gift certificates, coupon books, wristbands and armbands. Weldon, Williams & Lick can handle all of your admission and access needs. The STI Metal Protective Cabinets protect electrical and electronic equipment from hazardous parts and provide a degree of protection to enclosed equipment against ingress of solid foreign objects (falling dirt). A variety of sizes allow the enclosures to house significantly sized electronic devices with space to spare. For indoor use, the enclosures mount on the wall, enabling the units to be protected in their designated locations. 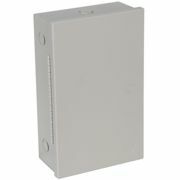 Ideal for junction and power supply boxes. National Ticket Company manufactures tickets and wristbands used for admission/crowd control, pay-one-price admission, security, special privilege passes, group identification, restricted area access and any application where a visual means of identification is needed. National Ticket Company offers bright colors and designs of stock wristbands made of Tyvek®, double-numbered stub wristbands, holographic, vinyl and plastic wristbands. In addition, you can get ultra hi-res, RFID, sta-put tab bands, stub bands and Ultra Quik Wristbands. Fabcote offers a line of powder-coated safety rails that are ideal for making recreational swimming pools and spas safer for users. Fabcote's state-of-the-art, in-house powder coating facility produces an exceptionally durable finish to resist corrosion. 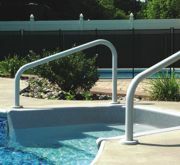 Made of high-grade 304 stainless steel, these rails are ideal for increased safety in pool areas. Both standard and custom rails and ladders are available.